Find him on ResearchGate ! 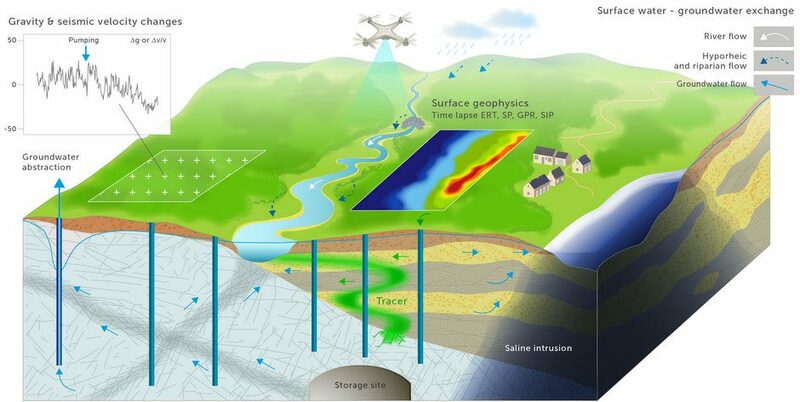 Integrate time-lapse geophysical data sets, at an hourly or daily temporal resolution, into a geostatistical inverse framework to gain insight on transport processes and hydrogeological parameters distribution in the subsurface. Bayesian evidential learning (BEL) of data-prediction relationships will be applied using geophysical data and subsurface transport models. Within the BEL framework, probabilistic falsification will be used to check for consistency of plausible geological scenarios. A combination of 3D image analysis on geophysical data (ERT, SIP and GPR), temporal information, multiple-point geostatistical simulations and dimension reduction techniques will be integrated in the framework. 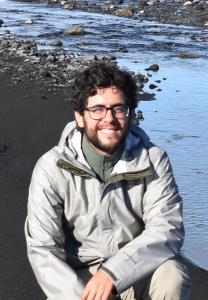 June 2018: Oral presentation at the 2018 Computational Methods in Water Resources (CMWR) conference, titled “Updating prior geologic uncertainty with GPR traveltime tomographic data”. July 2018: Poster presented during the 4th Cargèse Summer School, titled “Updating uncertainty in hierarchical subsurface model using geophysical data: synthetic case for crossborehole-hole GPR”. November 2018: Geology Research seminar in University of Ghent, titled “Using geophysical data to update uncertainty in structural parameters of subsurface models”. BEL – bayesian approach where subsurface models are used to learn a statistical model that relates data and prediction variables. ERT – electrical resistivity tomography. SIP – spectral induced polarization. GPR – ground penetrating radar.